WARNING: If you have not taken kiteboarding lessons, please do not attempt to teach yourself in the Gorge. Kiteboarding can be very dangerous, especially in "The Gorge". For more information on kiteboarding lessons click HERE!!! The majestic Columbia River Gorge is nestled between Washington and Oregon State in the Pacific Northwest of the United States of America. The iconic Gorge National Scenic Area is a stunning canyon corridor that creates fantastic pressure gradients across the Cascade Range. These drastic contrasts in air temperatures and pressure gradients through the canyon give the Gorge amazingly strong winds that kiteboarders, kitesurfers, and windsurfers love to enjoy. All along this windy corridor you have different types of kiteboarding beaches and conditions that vary in wind strength & stability, ability level, and water conditions (river swell to flat water). As you move east along the corridor the wind typically gathers strength and the conditions become more appropriate for intermediate to advanced riders. This guide covers general information on the main kiteboarding spots in the Gorge, how to forecast these kite spots, where to stay & eat, and other fun activities that make the Gorge a must visit for any kiteboarder or wind enthusiast. 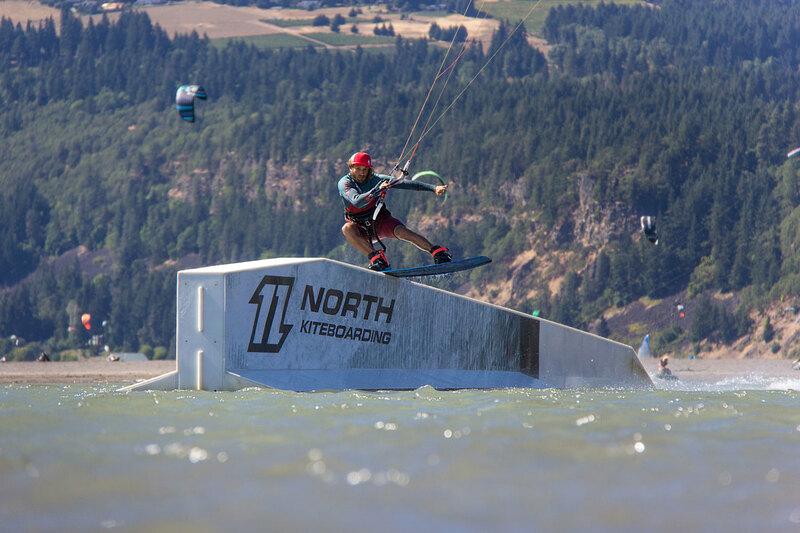 Because "The Gorge" offers so many different kiteboardings spots with strong winds, it can be overwhelming to know which locations to ride and when to ride them. Typically most kiteboarding visitors in the Gorge know only of Hood River being the main spot to kite. However, there are loads of other great spots that offer an array of conditions for intermediate to advanced riders from: large river swell, strong winds, intermediate winds, slider park, flat water, and/or sandy beaches perfect for beginners to learn kiteboarding from. The town of Hood River will most likely be the main attraction and possibly your base camp location during a visit. 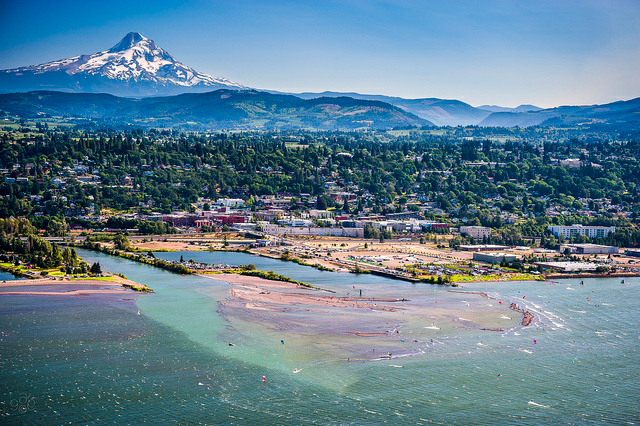 Most of the kiteboarding spots around the Gorge will be within a 15-60 minute drive from downtown Hood River, Oregon. It is not only recommended, but it is absolutely necessary to have access to a car during a visit to the Gorge. Get a rental at the airport before heading out. For the more adventurous, we suggest getting a larger rental that you can sleep in or camp from, such as an RV. This will allow you to camp at some of the amazing kite spots like Rufus and Arlington, or allow for a trip to the mountains before heading down to the river for your daily wind homage to kiteboard. 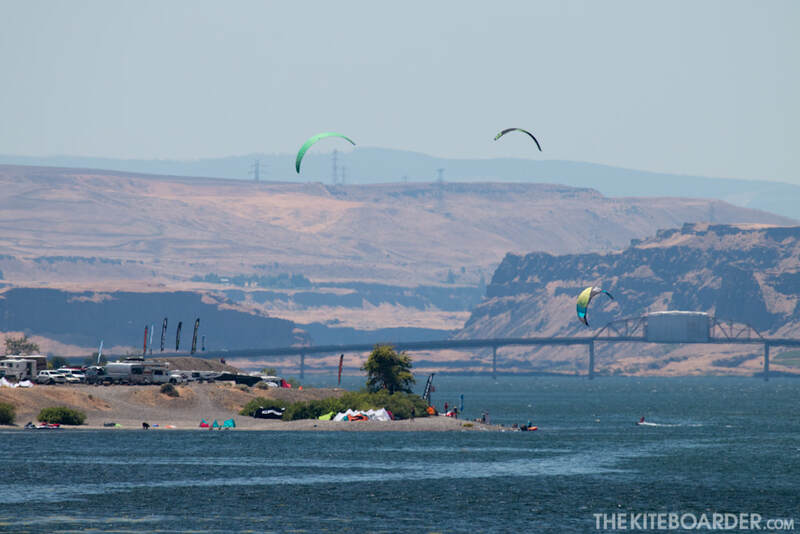 ​The Gorge offers kiteboarding most of the year, however the best times to kite are from May through September when the summer is in full swing. We recommend, due to water temperatures, flow and river levels, to visit from June to September. The air temperature during the summer months are typically warm and range from 75-90°F during the day (although the nights are typically a bit more chilly). The Columbia River does receive cold water glacial runoff from the mountains, so it is recommended to bring a shorty or a full 1-2mm wetsuit, especially if you get cold easily. Many days during the summer we (CKWUs team) ride without wetsuits, however some of the flat water spots are located in smaller river tributaries that tend to be colder water. Also, when visiting the Gorge it is a must to get outside and enjoy the mountains & rivers surrounding our beautiful kiteboarding playground. You can even ski & snowboard Mt. Hood in the summer (best conditions are in the mornings) and the hiking around the mountain is jaw dropping. Additionally, salmon and steelhead fishing in the Columbia River and it's tributaries is world class, second only to Alaska. SUPing is also a favorite local pastime! There is so much to keep you busy and exhilarated. If you have any questions regarding kiteboarding lessons or visiting the Gorge to kiteboard, please CONTACT US. ​Kiteboard Lessons: Come Kite With Us offers kiteboarding lessons in Lyle, WA and Hood River, OR. Our Lyle, WA location has some of the smoothest wind in the Gorge with a very large sandbar, without the traffic of the Hood River location. Check out more about our lessons and prices at COMEKITEWITHUS. Bring a full, shorty or top 1-2mm wetsuit (depending on if you get cold easily). Bring your full Quiver of kites (5m - 14m), as the Gorge hosts a range of wind strengths along the corridor. Ride with a friend to help each other out! Rent a car or van. Do not just kite, explore the mountains and rivers too! 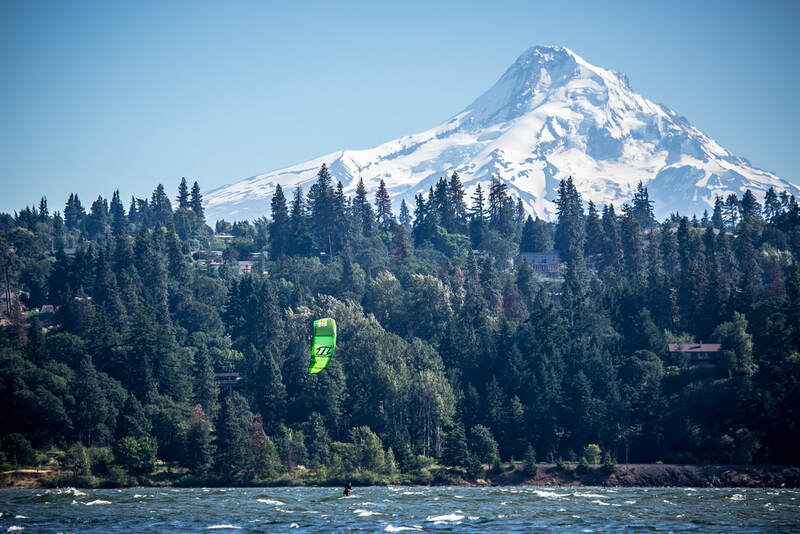 Kiteboard Events 2018: Throughout the summer Hood River hosts a variety of truly awesome kiteboarding events that are worth planning your trip around and joining in on the fun. Wind in the Gorge can be very strong! If you are not comfortable flying your small kites or do not have the appropriate sizes to ride safely at one of the locations, please find another spot on the river with less wind to kiteboard. The wind speeds can vary greatly within a 10 mile stretch of river. River current can be strong in some locations of the river! Please ride with a friend to help with board retrieval or in an emergency. Know how to self rescue! The river can be unforgiving, so you absolutely need to have the self rescue technique mastered. Watch out for floating logs and debris coming down the river! 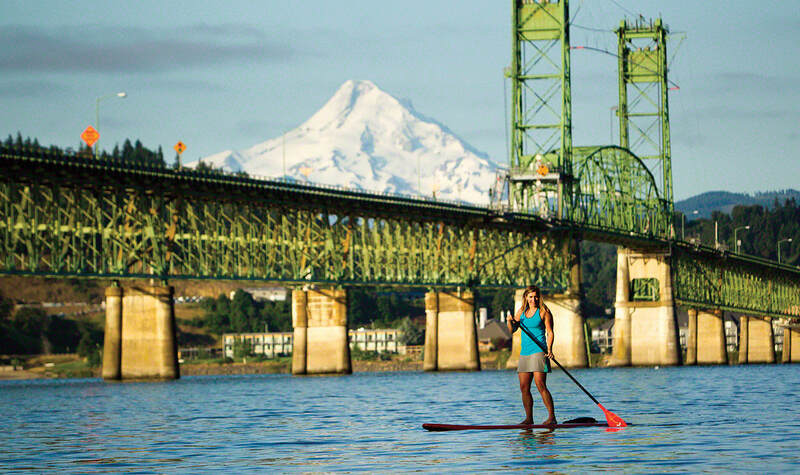 There are only two beginner locations on the river, Hood River, OR and Lyle, WA. All other kiteboarding spots are Intermediate to advanced! If you can't go up wind, don't visit the other launch sites. Watch for barges in the channels of the river and get out of their way, they come often and they will not move for you! Within the Columbia River Gorge there is a plethora of kiteboarding spots available, each hosting slightly different riding conditions. The various beaches offer unique launching experiences, water and wind conditions. To better help you understand each popular location most frequented by kiteboarders of the Pacific Northwest, we have broken down each popular spot with their preferred riding styles, wind conditions, beginner to advanced ratings, do's and don'ts, and other helpful information for visiting each kite spot. The goal is to allow visiting kiteboarders, from professionals to newbie, or those that are interested in taking lessons in the Gorge to be more successful, confident, and safe on the water. 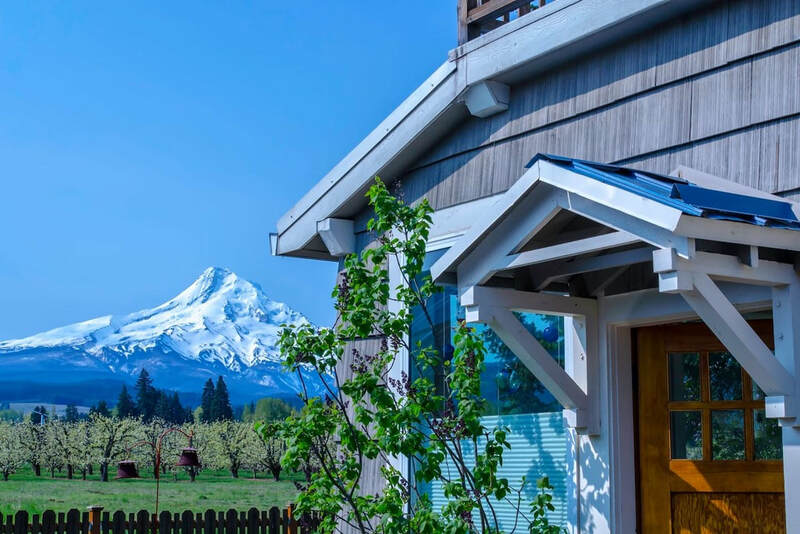 Hood River is the heart of kiteboarding for the Columbia River Gorge and will most likely be your anchor location for dinning, nightlife, shopping, and sleeping. The best known beach for kiteboarding is the event site. Parking lots are large and can support many parked cars, but does come with a cost. Here you can either pay for parking in the lot on site or park street side with parking meters and walk a few hundred meters with your gear to the grassy area of the event site. Either pump your kite in the kite zone on the grass (you will see signs designating specific kite zone and windsurf areas) or out on the sand bar. In order to launch you will walk across the small shallow river mouth on the east end of the event site and that will give you access to the huge sandbar. The better wind for launching and landing is out closer to the river channel, making launching easier and safer for getting out on the water quickly. ​The wind near the Hood River sandbar can be very gusty at times and it is never recommended to stand around on the sandbar with your kite at 12 O'clock. Once your kite is launched, quickly head into the water with your kite at 10 or 2 O'clock to avoid getting lofted. Be aware that kites can fall out of the sky between gusts, so be ready to eject or save the kite from falling on beach goers or other kiters. 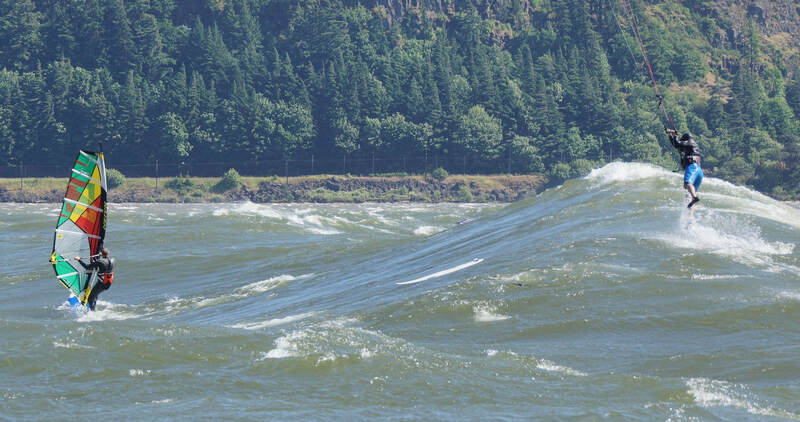 Some of the better wind in Hood River is up wind of the sandbar and out in the river near the Washington side. This is where the wind will be cleaner, stronger, less crowded, and way less gusty. If you are a beginner to intermediate kiter, then this is where you want to ride directly after launching and leaving the sandbar. The sandbar can be crowded during weekend summer days, so please keep this in mind when visiting and try to be part of the solution and not the problem. Also, if the wind begins to get lighter, as it typically does 2 hours before sunset, it will help to be up wind of the sandbar. The river current out in the channel will help you go upwind easier, however make sure you keep an eye out for barges that come up river occasionally throughout the day. 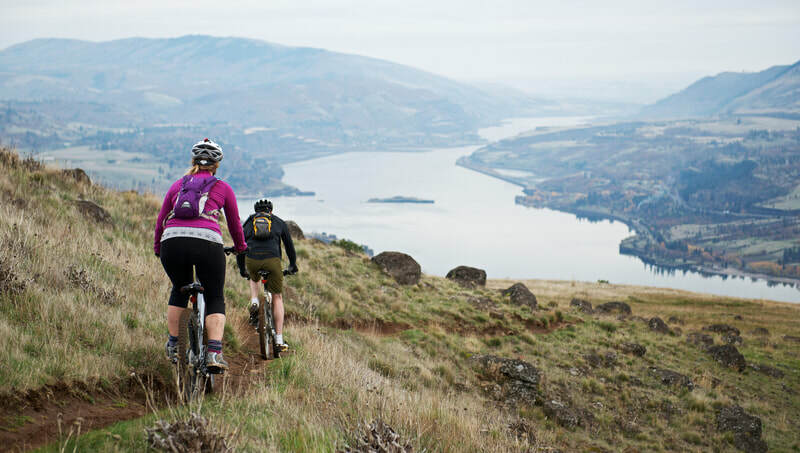 For the more advanced riders visiting Hood River, you will love it for all the diverse conditions it offers all within one launch site. 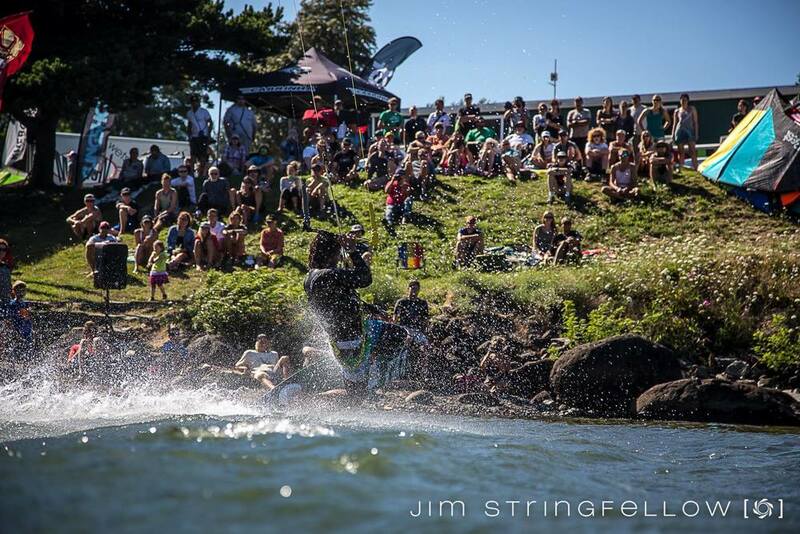 The slider park on the sandbar offers some amazing flat water riding with loads of obstacles to hit. It's like having your very own wake park, just to yourself. Also, the flat water behind the sandbar offers great shallow water for skim boarding too. The wind is a bit more gusty here, due to Wells island creating the disturbance, so keep that in mind while performing tricks. For strapless or swell riders, head up to "Swell City" after you leave the sandbar. Once there you will find great swell from the river currents and wind, sometimes they can reach over-head heights. This is a dream come true for kiters looking to push their strapless air jumps, as the wind is strong and waves are perfect for launching from. Pump and dry only on the grass event site area, NO LAUNCHING there from June through September. Launch and land from the sandbar only. Once your kite is in the air, head to the water quickly. No standing around! Never keep your kite at 12 O'clock as gusts frequent the sandbar making it dangerous for lofting. Once you are riding, please stay far upwind of the sandbar and away from newbies learning in the shallows or the more advanced riders in the slider park. The best and smoothest wind is up wind near "Swell City" and closer to the WA side of the river about 300m's west of sandbar. We recommend riding here, if you are not enjoying the flat water areas of the sandbar. Watch for barges from behind you, they can sneak up. Know how to self rescue. Put lots of sand on your kite, so it doesn't blow away. It can get windy at times, be prepared to use smaller kites! Lyle has some of the smoothest wind in the Gorge and this makes it, along with the huge sandbar, one of the best places on the river to learn how to kiteboard. For information about learning how to kiteboard in this amazing spot, and to learn more about lessons and courses we offer, click HERE. The only legal way to access this location is via boat or jet ski from the Lyle boat ramp or from across the river at the Rowena boat ramp. That being said, many folks risk the penalty/fine from the railroad company and cross the tracks illegally near the parking lot to gain access to the sandbar. The wind here is much cleaner compared to the Hood River sandbar. This allows for a much safer experience and faster progression process during the first 6-12 hours of your kiteboarding lessons. The flat water spot behind the sandbar is small and there is absolutely NO riding there come the end of August. The fishing season locally starts at this time and the salmon start to run up the Klickitat River. Local fisherman dislike kiteboarders in the river mouth, so in order to keep access to this sport, please stay out of the river mouth during this time or risk getting the whole beach shut down. 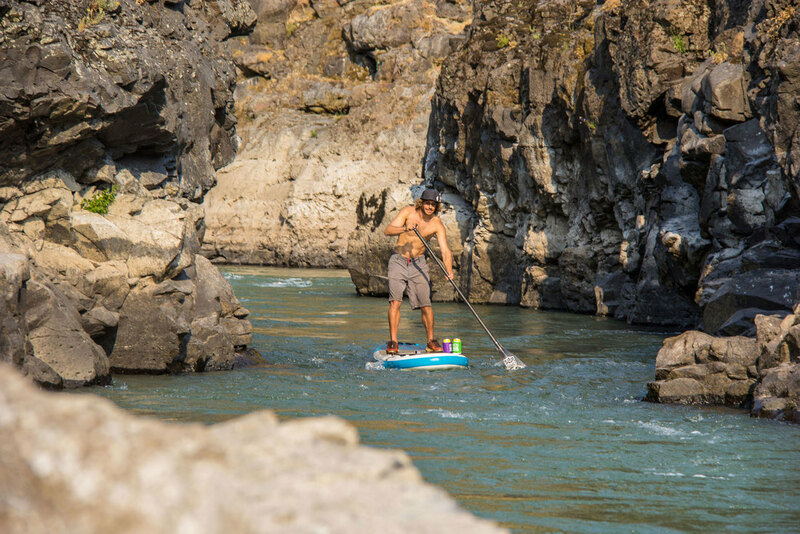 For more advanced riders, Lyle does not offer much in terms of river swell or a slider park. Thus, we recommend taking lessons here and keeping the spot clear for folks learning how to kiteboard. If you are riding and you are able to ride up wind, please enter the water at the end of the spit (see the yellow arrow). At end of the spit the river current will help you ride upwind easier. We recommend staying upwind of all the people learning how to kiteboard and with whom ride closer to the beach. The wind is on-shore here and once you have more then a hand full of kiters near this spot, it can be difficult for students to ride or practice. Lyle, WA is about 15 minutes from Hood River. Not great for advanced or intermediate riders, as it doesn't offer much for variety with water conditions. No Swell or Slider Park. Watch for barges from behind you, they can sneak up on you. 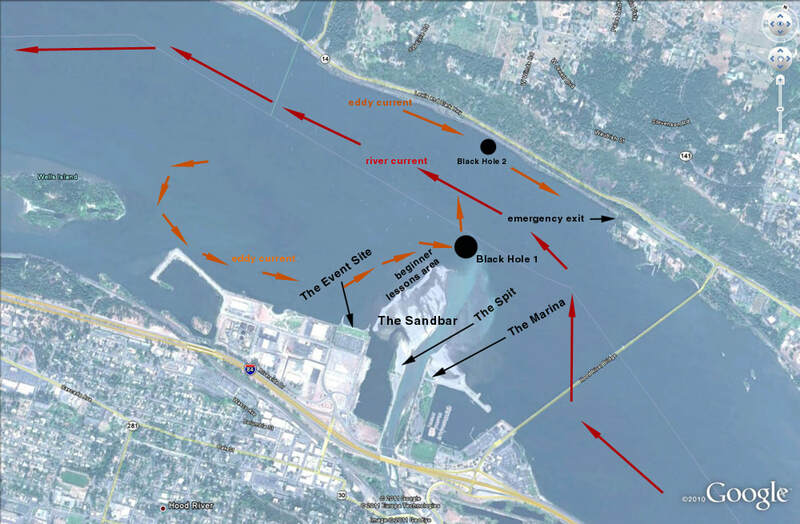 Intermediate and advanced riders should enter the sandbar from the point closest to the Oregon side. Please stay out of the lesson area or away from students learning in front of the sandbar. Be prepared for some strong winds out in the eastern part of the Gorge. Rufus kiteboarding is a blast for boosting huge, megaloops, swell riding, and strapless airs. This place can get windy and the swell can get large. If you enjoy high wind kiteboarding, this is the place to check out. The launch is rocky making this spot a more difficult place to launch from. Combining the rocky launch with high winds, exercise caution when entering and exiting the water. The best launch position is located at the most easterly part of the small spit. Please be careful when launching and get in and out of the water quickly! The river current can run very fast here, so make sure you have near perfect body dragging skills or you may loose your board to the damn located downstream. This beach is also a great car camping spot with free parking and public bathrooms close by. Bring most of your food and water with you, as there are not many stores near by for shopping. Rufus is about 45 minutes from Hood River going East on the Oregon side. Launch safely and get out to the water quickly. Very high winds here, make sure you bring your small kites. The river current can run high and very fast, as this is a more narrow part of the river. This is another windy kiteboarding spot in the Gorge with a reputation of nuking regularly! Typically most people are riding smaller kites at Roosevelt and this is a great spot for strapless surfing, as the swell can get large out near the Oregon side of the river. The launching spot can be a bit holey, so be cautious when launching and landing. Get the kite in the air quickly and get out onthe water as quick as possible with absolutely no standing around on the beach for any extended time, as this is a very small launch spot. Drift launching is also an option here. There is some great camping to be had here too, but make sure you bring a majority of your water and food, as there are not many options for grocery stores near by. Roosevelt is about an hour drive from Hood River on the WA side. Car camping or tent is great here. The river current can run high, as this is a more narrow part of the river. Stevenson is one of the closer spots to Portland and has some of the smoothest wind in the Gorge, making it perfect for people looking to progress their freestyle riding. The wind here can also be a bit lighter compared to Hood River or out east in the Gorge. The launch area is a little tricky, as you have to launch with the kite up higher on the grassy area, while you are standing down below on the water/rocks. Please be careful when launching and get out to the water ASAP to ride. Stevenson is great for people that want to stay in Portland a few nights and still kite or score a kite session after they arrive to the airport. Watch how the locals launch. Great place for freestyle tricks, as you have smoother wind here. Larger kites are used here, compared to other spots in the Gorge. 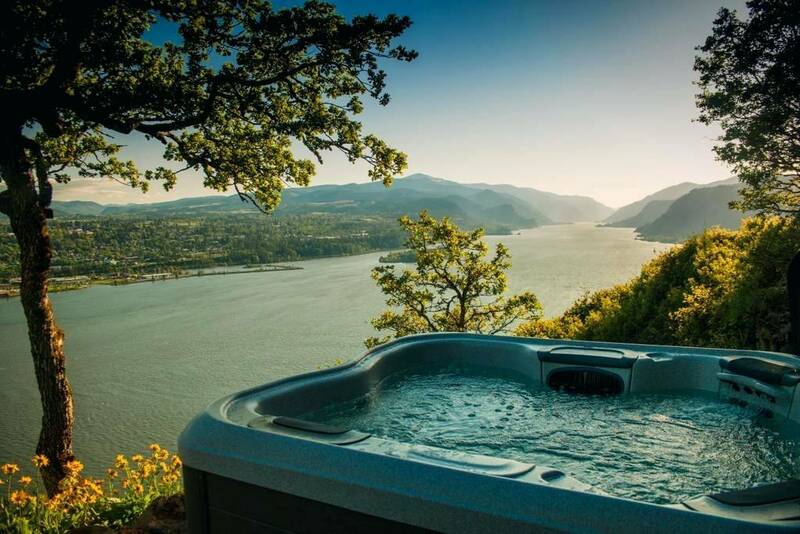 The great wind in the Columbia River Gorge is your classic thermal created from pressure differences between the Marine ocean side of the Cascades and the eastern dry hot desert of Washington and Oregon. 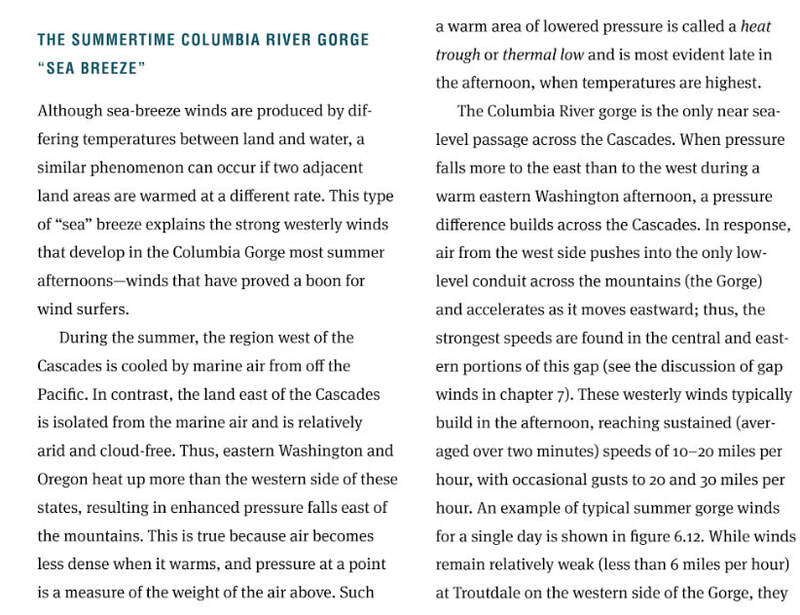 These pressure differences create the awesome thermal winds we love, as they get funneled up through the Columbia River Gorge from the west to east. Typically, as you travel east from Portland area, the wind gathers strength and the strongest wind will be found at the most easterly part of the Gorge near Roosevelt/Arlington. Most of the days during the summer months of May through September this thermal wind blows from west to east. Most of the time, the wind will be blowing within an hour drive of Hood River somewhere in the gorge. Some days the gorge can produce some abnormal weather patterns, however the wind will be within reach, if you know where to look. If the marine layer (colder air) pushes up the Gorge near Hood River, mostly likely you will find the wind further east. Or if the Gorge shuts down, for instance during a hot spell, the above listed kiting spots will not blow and the wind might even blow the opposite direction from east to west (easterly). This is when Rooster Rock (near Hood River) or heading to the coast is the best options for wind. While this doesn't happen very often during the summers, this is whenthe coast can deliver great wind on these hot summer days when the Gorge shuts down. Windy.com (below) is a great macro view of how the wind is blowing throughout the gorge. But, we recommend reading two main sites for forecasting the wind and then double checking the forecast with live wind readings before heading out to kiteboard for the day. 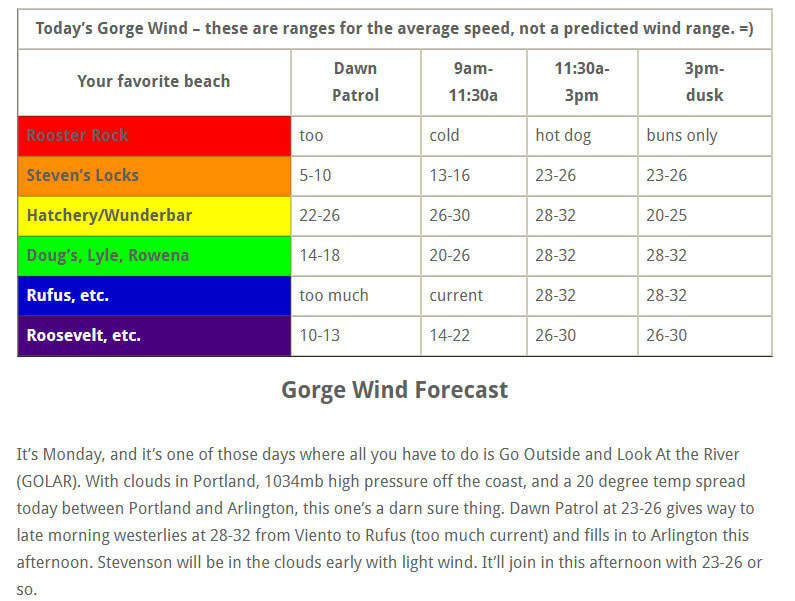 Temira's (​https://thegorgeismygym.com/forecast/) is a great forecast website for in-depth information on the wind for different beaches mentioned above. She gives a great analysis on the weather temperatures, pressure gradients, water temp's and the "why" behind the wind for for the Gorge. This will give you more knowledge and insight to understanding our wind, compared to other forecasting sites. iKitesurf is the other forecasting tool we recommend to check 2-7 days out and for the daily live wind before heading out on the water. Mt. Hood sits watching over the Gorge and the city of Portland like a beautiful and majestic gargoyle. It is hard not to notice it dominating the skyline and it can sometimes take your breath away with its sheer beauty. 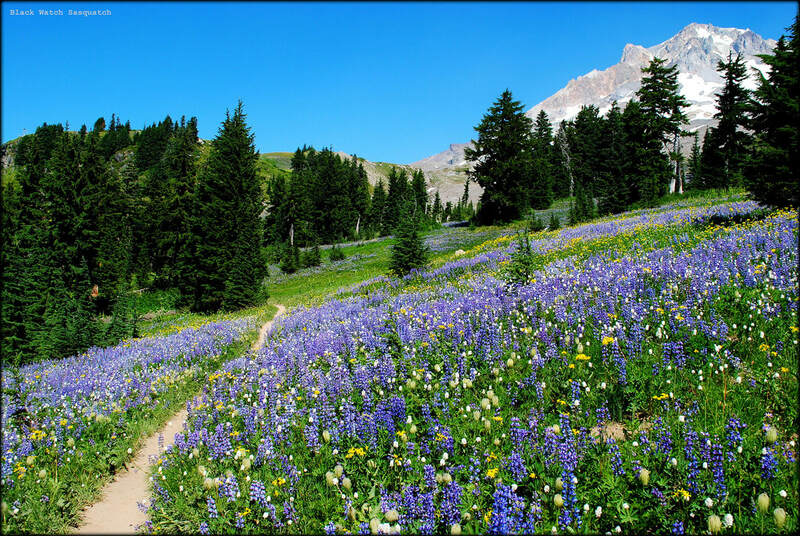 While visiting the Gorge for kiteboarding, we recommend bringing some hiking boots and visiting all the amazing trails, lakes, and even ski resorts (Timberline) that Mt. Hood has to offer. Go camping near the mountain on a lake, where you will wake up to the most amazing views and reflections of Mt. Hood. After some morning hikes or a snowboarding session, head down to the river just in time for the wind to pick up. 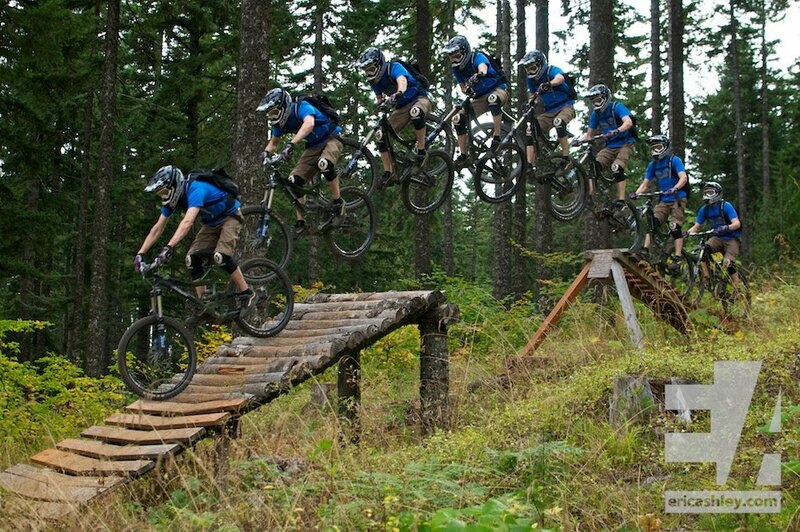 Just outside of Hood River you have loads of great mountain biking trails in Post canyon, coyote wall, or up near Mt. Hood. There are some world class trail networks with challenging conditions, as well as some great single track riding with amazing views of the Gorge. You can rent bikes in Hood River and they will have trail maps and recommendations for where to go. This is a great morning activity before the wind picks up for your afternoon kiteboarding / kitesurfing session. The Columbia River Gorge offers some great scenic paddles around the kite spots in Hood River. You can rent paddle boards directly on the water and take them for some fun. Or you can adventure out further in some of the rivers for some more river rapid SUPing. Camping is another option in the Gorge with some great camping sites along the river or in the mountains. This can be a much cheaper option or even free for some of the camp spots near Lyle, Rufus, or Roosevelt. The two camp sites near Hood River do cost money, but it still much cheaper than a hotel. However, we recommend mixing your trip up with camping at some of the great spots further east in the gorge. ​If you are able to rent a van from the airport, this will be even better for your camping situation. Please see the first map with camp spots in green. Depending on where you stay or ride, a lot of your meals and going out for nightlife will be centered around Hood River, OR. There are some great restaurants in White Salmon, Stevenson, and many others locations, so make sure to get out and explore other places too. But the central theme for after session beers and food will be the heart of the Gorge kiting scene, Hood River. 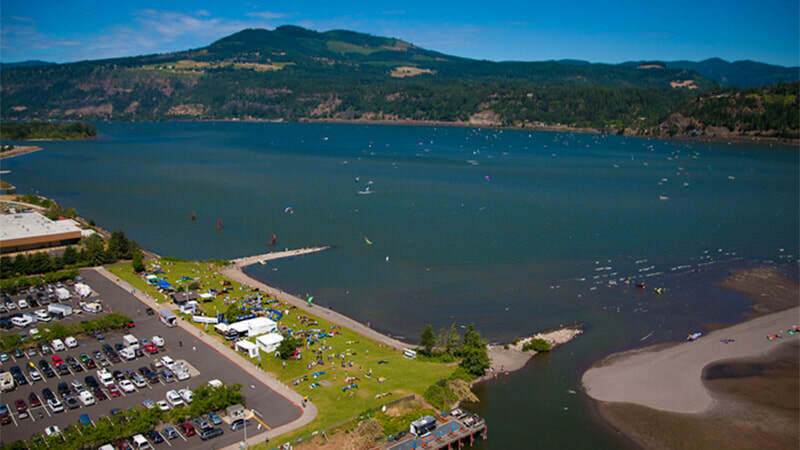 Not only are there loads of kiters who flock to Hood River after their daily outdoor fun, but you will also have lots of kayakers, bikers, wind surfers, hikers and many others enjoying the summer nights out on the town. 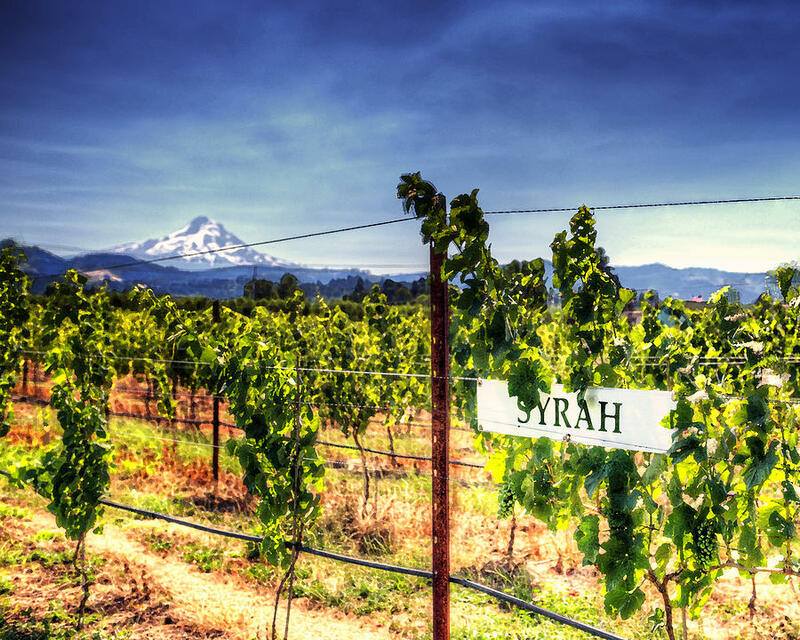 "Small towns in Oregon pack a mean punch when it comes to eating and drinking. And as Oregon’s flagship port town, Hood River is no different. 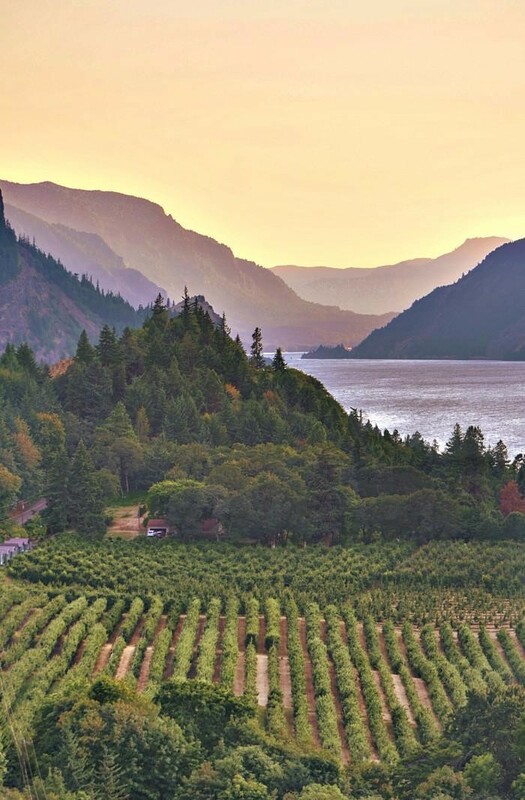 Stationed along the Columbia River Gorge with first-class, window views of most every statewide natural wonder, Hood River is well-positioned in wine country, right on the water, amidst sprawling farmland. Hood River is well known for its world-class grub, beer, cider, and wine (and dare I say it, legal marijuana)-- and it flaunts the food and drink with many amazing events. It hosts a cider festival every April and a beer festival every September, with over 440 local orchardists and 50+ beer vendors, respectively. But you should give your liver a run for its money by pinning it against your stomach, and exploring these culinary cornerstones." Check out all that THRILLIST has to say on Hood River food and drink. Whiskey Tango - Most rowdy crews will be drinking and dancing here, lots of fun for a night out. Chinese Restaurant - Awesome local joint with karaoke, stiff drinks and dancing in the back rooms. Double Mountain Brewery - Great beer, live music and pizza! Oak Street Pub - Classic pub style ale house. Double Mountain Brewery - Awesome pizza! Solstice Pizza - Another great place for food and pizza. Celilo - Locally sourced taste of the Oregon countryside. Taqueria El Cuate - Mexican food truck that has some of the best Mexican in town.